10 Advanced Excel Charts To Impress Your Boss - Something New Everyday! Since there are many advanced charts that I'll be covering in this article, I will not be able to show you exactly how to make these in this tutorial itself. However, I will link to the tutorials where I show exactly how these advanced charts are made. 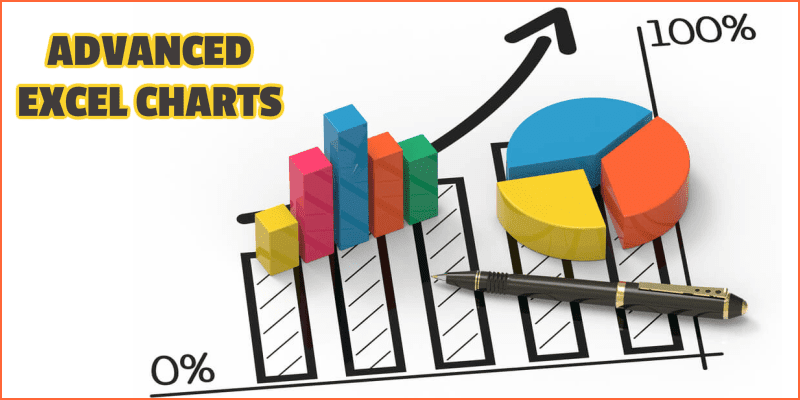 Let's get started and learn some awesome charting tricks. A milestone chart allows you to plot milestones on a timeline. This chart type can be useful when you're planning a new project and want to visually show the planned milestones during a certain period (or chart the milestones that have been achieved in the past). 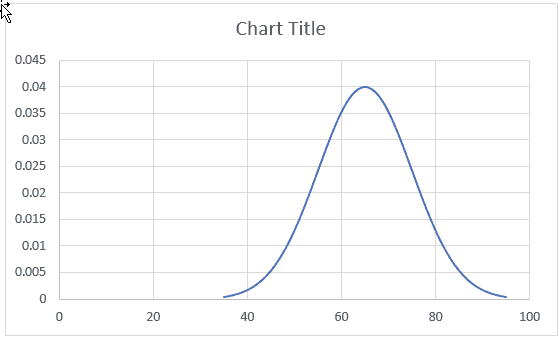 While a bell curve is nothing but a ‘scatter line chart' that you can insert with a single click, the reason I have added it as one of the advanced charts is that there is some pre-work needed before creating this chart. 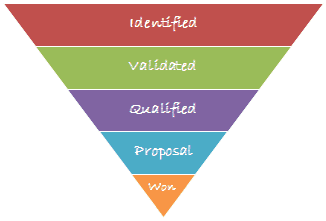 Many opportunities are ‘identified', but only a part of it is in the ‘Validated' category, and even lesser ends up as a potential lead. If you have these numbers in Excel, then you can easily create a sales funnel chart. If you're using Excel 2016, you have the option to insert the sales funnel chart directly from the insert tab. 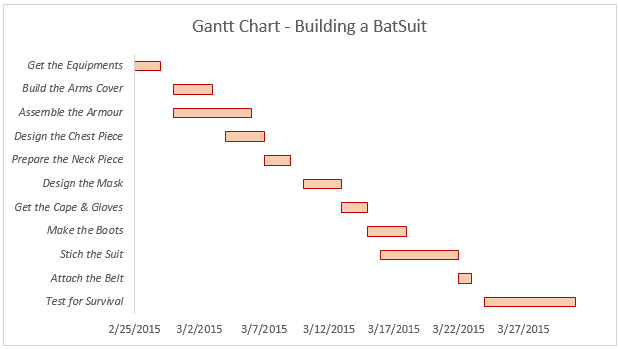 But for versions prior to Excel 2016, you'll have to use some charting trickery. Or if you're a project manager, you can use this to identify 20% of the projects that are generating 80% of the revenue. 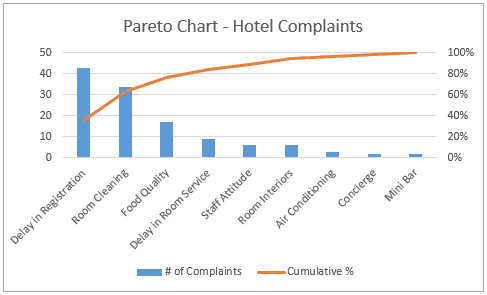 If you're using Excel 2016, you can insert the Pareto chart from the Insert tab, but if you're using Excel 2013 or prior versions, then you need to take a few additional steps. Actual Performance Marker: This column shows the actual performance. 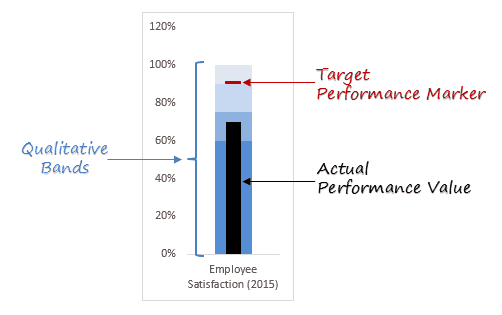 In the above example, the black column indicates that the performance is good (based on its position in the qualitative bands), but it doesn't meet the target. Now if you're thinking why not use a line chart instead, have a look at the below charts. Both these charts look similar, but the line chart is a bit misleading. 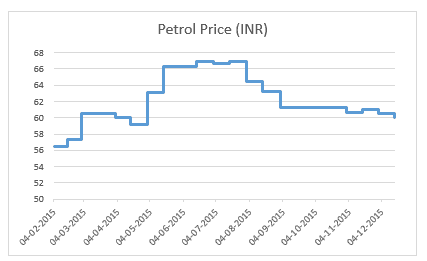 It gives you an impression that the petrol prices have gone up consistently during May 2015 and June 2015 (see image below). But if you look at the step chart, you'll notice that the price increase took place only on two occasions. A waffle chart is a pie chart alternative that is quite commonly used in dashboards. It's also called the squared pie chart. In terms of Excel charting, a Waffle chart doesn't really use any of the charting tools. It's rather created using cells in the worksheets and conditional formatting. It's really simple to read and understand. In the KPI waffle chart shown above, each chart has one data point and a quick glance would tell you the extent of the goal achieved per KPI. It doesn't misrepresent or distort a data point (which a pie chart is sometimes guilty of doing). In terms of value, it's no more than a data point (or a few data points). It's almost equivalent to having the value in a cell (without all the colors and jazz). It's called a thermometer chart as you can make it look like a thermometer. Note: Thermometer chart can be used when you're measuring the performance of one KPI only. If you have to analyze multiple KPIs or metrics, you need to either create multiple thermometer charts or opt for a regular actual vs target chart I covered earlier.